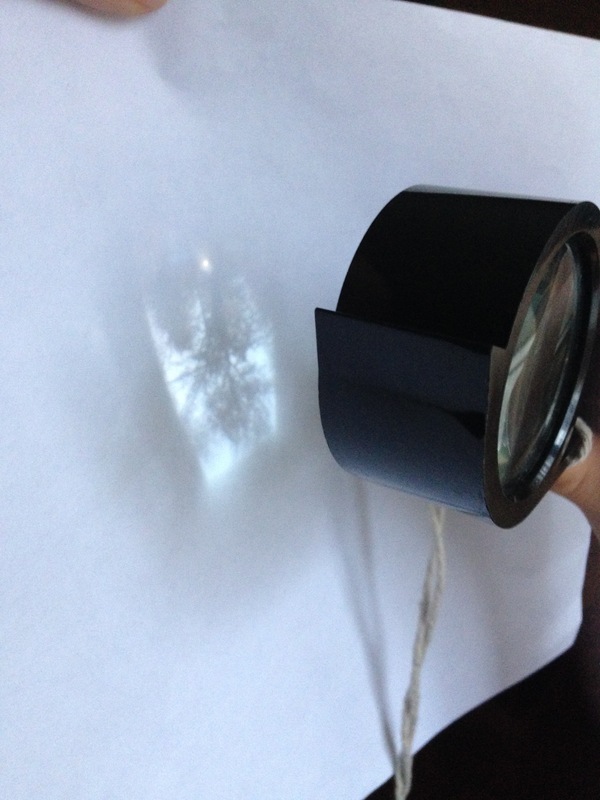 Use the lens to magnify newsprint or other small things. (The lens in our eye can do the same thing). 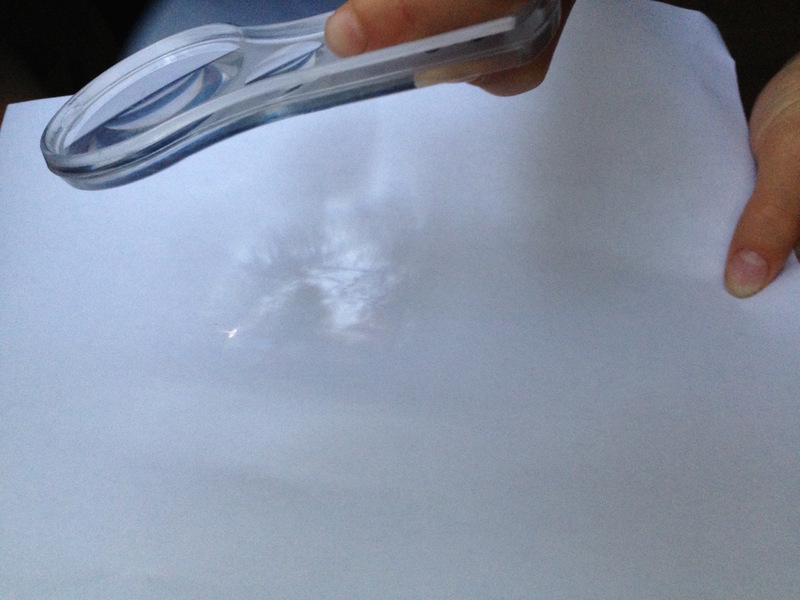 Hold the lens in front of a white piece of paper to project an inverted view of a window or a bright light. (The lens in our eye does the same thing).